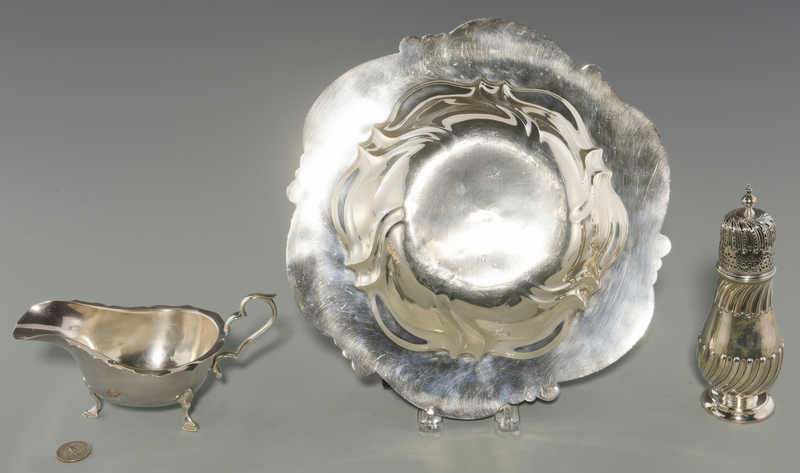 1st item: American Art Nouveau sterling silver bowl with cast lily design at border, spiral lobed body, monogram AHG center. Marked on back for Meriden Sterling 654. 11 3/4" diameter. 17.90 oz troy. 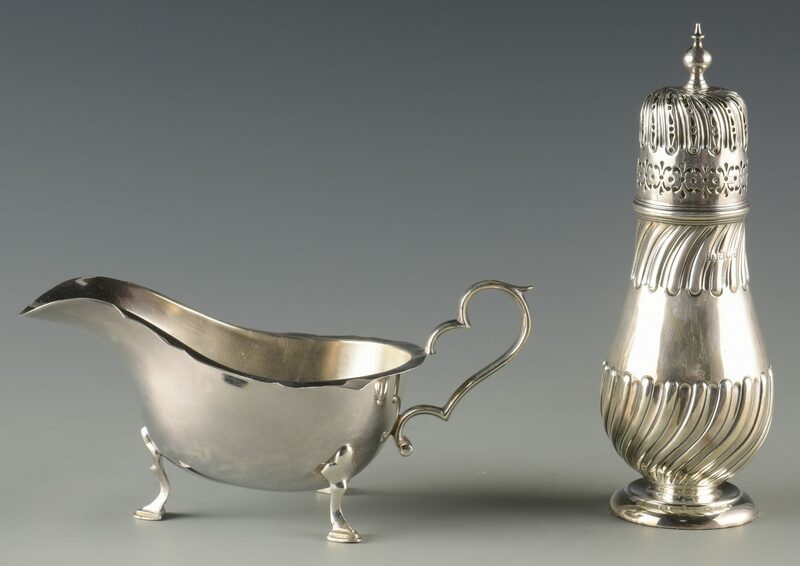 2nd item: English Sterling silver sauceboat, oval form with scalloped rim and hoof feet, serpentine handle. 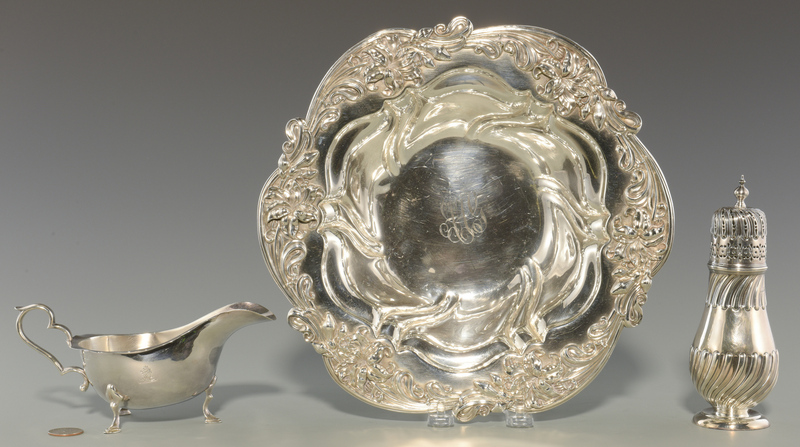 Horse head crest engraved on side. Hallmarked for A & J. Zimmerman Ltd., Birmingham, 1911-1912. 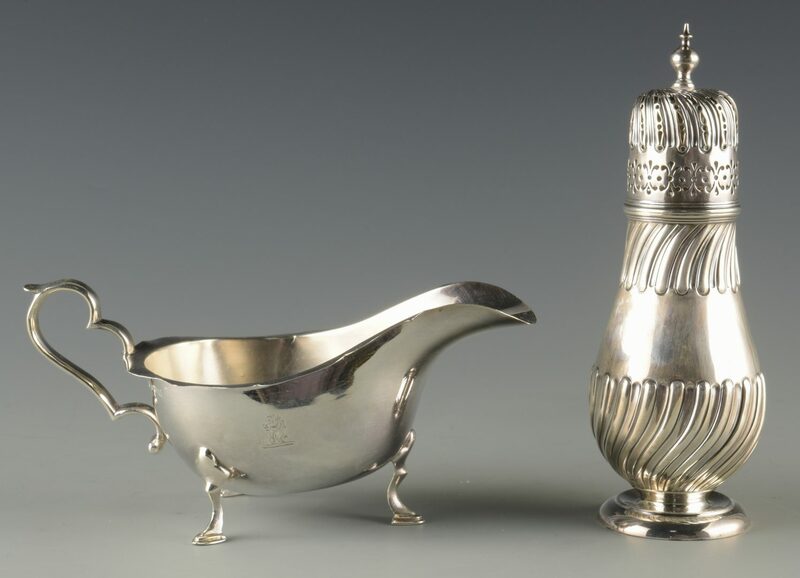 3 5/8" H. 3rd item: English George III sterling silver caster, with curving lobed repousse decoration to body and pierced lid with ball finial, the body and lid both hallmarked for Sheffield, 1829-1830, maker's mark HA. 7" H. Combined weight all 3 items: 28.4 oz troy. 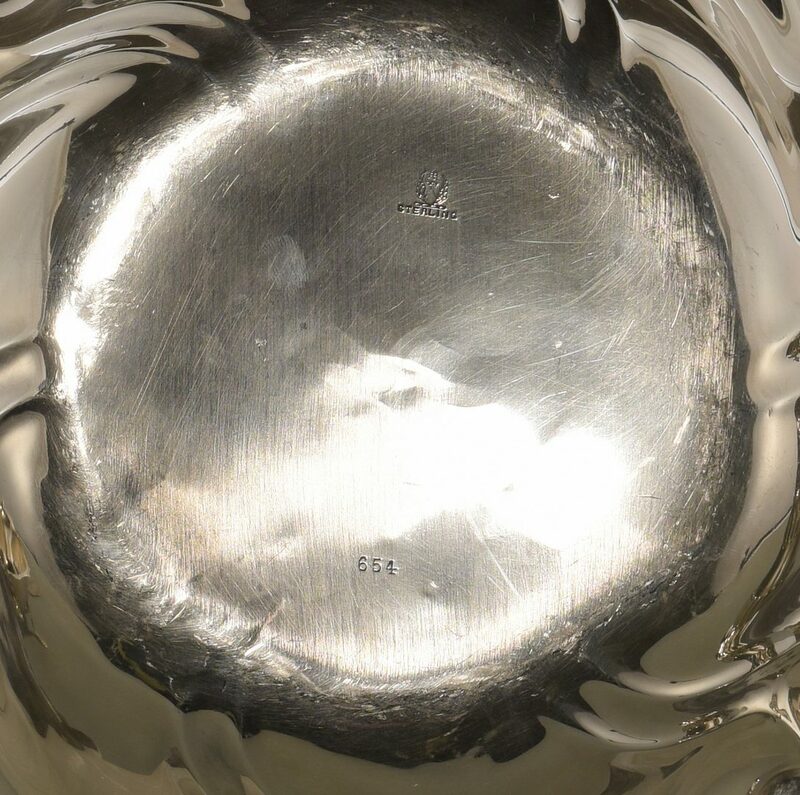 CONDITION: Bowl: Several small dents to bottom and scratches to underside. 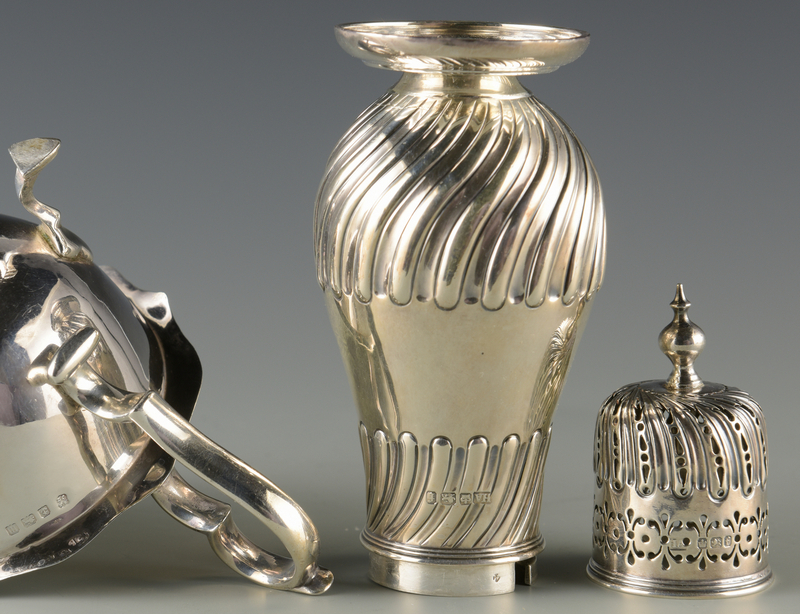 All items with scattered surface scratches due to age.